Declan Maher Financial Services is the new sponsor for the Track-Attack Club for the coming year. As one of the founder members of the club, Declan have put in endless hours into the development and promotion of the club and now he has taken his support for the club to an all new level. 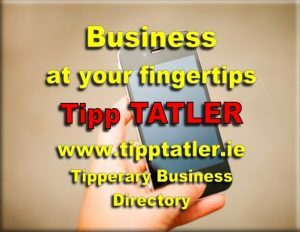 A nominee in the “Best New Broker” category at the LPI Awards 2017 which gives recognition to the life, pension and investment brokers who have proved their excellence, professionalism and dedication to maintaining high standards in the Irish market, Declan’s business is based in Liberty Square in Thurles and he can be contacted at (087) 1444977 or by checking out his website at www.declanmaherfs.ie. In 2017, Declan will be the main sponsor for our upcoming Track-Attack Trilogy of events namely the Borrisoleigh Mile on the 24th April, the Borrisoleigh 5km on the 27th of June and the Trip around Tipp on the 8th of July. Track-Attack would like to thank Declan for his extremely kind sponsorship and we would urge all our members and supporters to support Declan in his line of business whenever possible. It’s a busy week ahead on the local road-running scene and it all kick-starts next Sunday morning in nearby Killea when their annual festival of running starts at 12:30pm. In what is a brilliant promotion of running, there is a distance available to all who have any interest in competing. On the day, athletes can choose from one of 3 distances namely 5km, 10km and 10 miles. We would encourage all our Track-Attackers to stick on a club shirt and head to compete. On the following Friday (Good Friday), it’s destination Loughmore for the annual John Kelly road race. This event has a 6pm start with entries taken from 5:30pm onwards. Again we would encourage all Track-Attackers to make the short journey and lend your support to the local events. After 2 hugely successful Series on the Track over the winter months, Track-Attack intend to hit the roads on Mondaynights over the coming weeks as we visit some of the areas where non Borrisoleigh Track-Attackers hail from. On May 8th, we head to Templederry which is the home parish for many Track-Attackers. 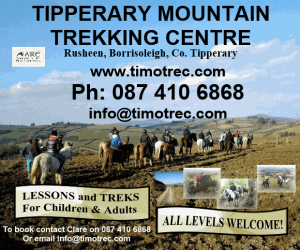 On May 15th we are heading to Drom while the following week (22nd), we will be heading to Latteragh Wood. Gortagarry will be the next stop-over on May 29th. On June 12th, its destination Templemore followed by a trip to Kilcommon on June 19th while the final stop-off is in Fantane on July 3rd.